This simple 35-gallon aluminum trash receptacle would make a perfect indoor waste management solution in hotels, movie theatres, and hospitals. 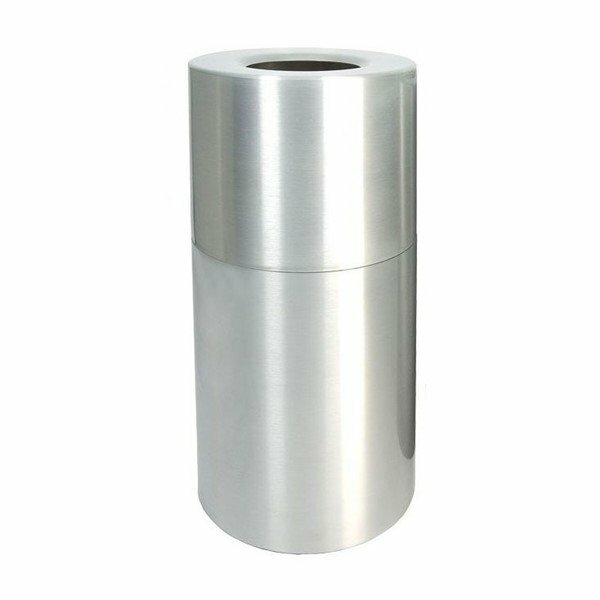 Features a commercial grade aluminum frame with a clear satin finish to protect against rain or spilled drinks. The 9" flat opened top would serve well in front of a business, under an underhang. Trash is easily removed with the help of the included rigid plastic liner. This great product is proudly made in America and comes with a 5-year commercial warranty!